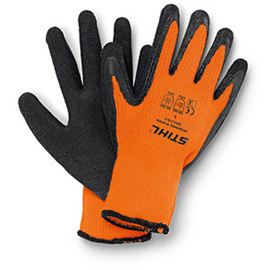 Winter work gloves without cut protection. Thick insulation, strong latex palm coating and good grip make ThermoGrip FUNCTION gloves well situated for heavy work in cold, wet and snowy conditions. Material: PES knit with heavy-duty latex palm coating.